Another significant date in our history was December 27, 2002. For it was on this day that Dr. Leonard VanGelder and Daniel Schutte departed Grand Rapids, Michigan for South Africa. Their mission was to explore the opportunity of beginning an I.C.P.M. 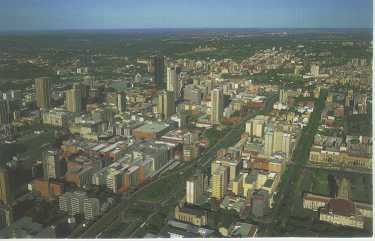 outreach in the inner-city of Pretoria, Dr. VanGelder”s home-town. During each October of 2003 and 2004, a small team of American missionaries associated with the I.C.P.M. have carried on the work, and indeed expanded it, by making the 10,000 mile journey. Although our main focus of ministry has been within the city of Pretoria, the LORD has wonderfully opened up ministries in other cities as well. 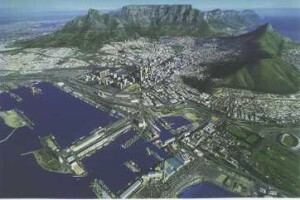 Through contact with veteran American missionaries Paul and Jayne Carlson and the saints of Believers” Fellowship, we have had some quality opportunities in the huge shipping port of Durban on the Indian Ocean. They have been wonderful “hosts” during our stays there. Paul has also been an invaluable source of wisdom and counsel as we have sought direction from the Lord concerning our future in South Africa! Because of our relationship with Simon Gcabashe, the LORD has opened up doors to labor in the “squatter camp” called Princess, just outside of Johannesburg.